AWI Award Winning project and featured in the AWI Design Solutions Magazine. 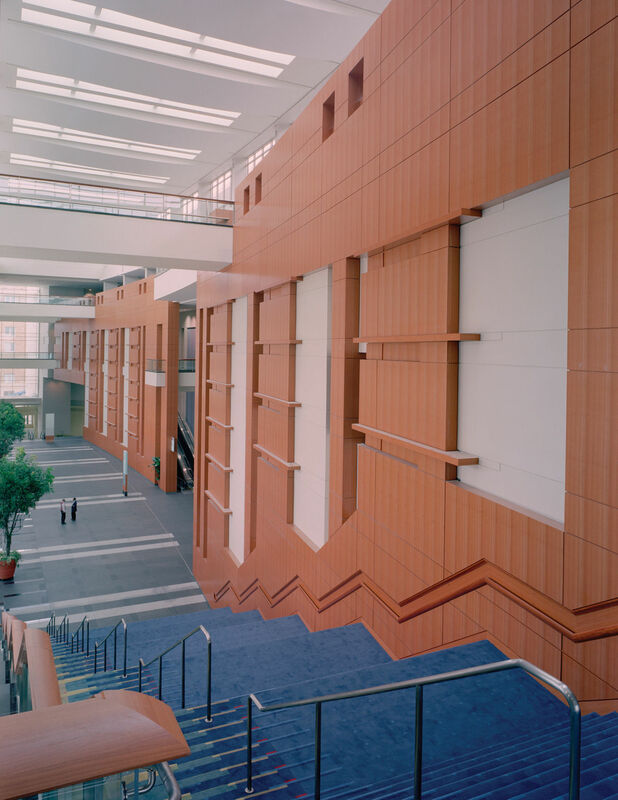 Definitely one of our flagship projects with much prominence in the construction industry, the Washington Convention Centre takes up several city blocks in the heart of the nation's capital. 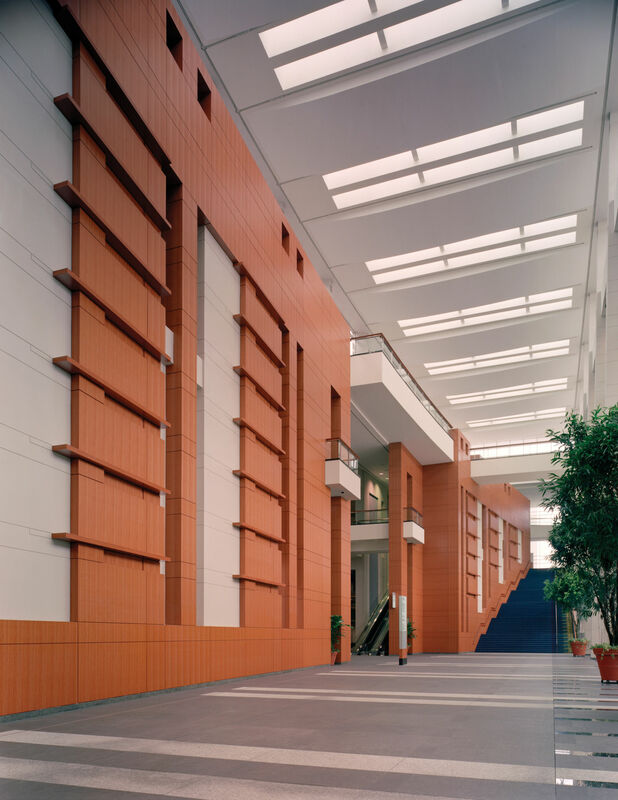 Nikolai provided a total of 124,000 square feet of veneer along with some millwork. 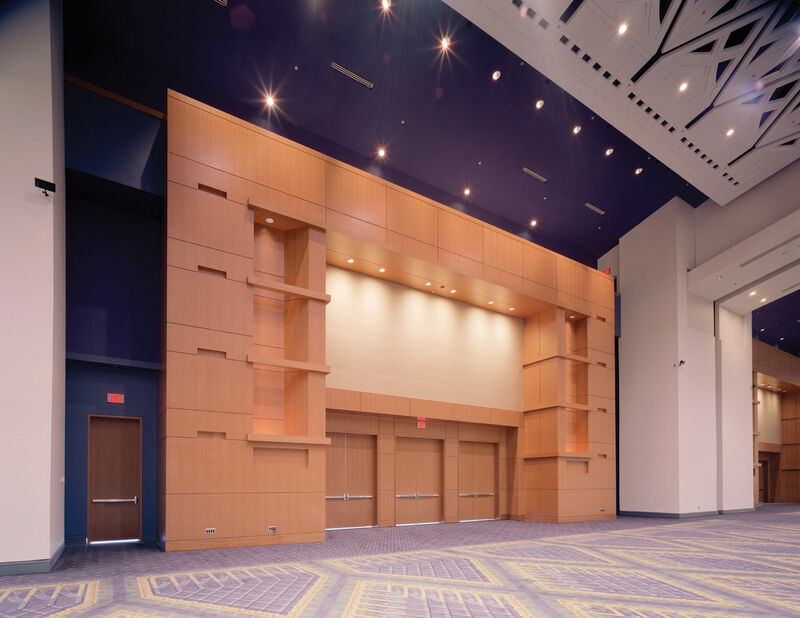 The veneer portion of the project included a paneled 24,000 square foot wall, 66 feet high and 370 feet long on a slight radius. 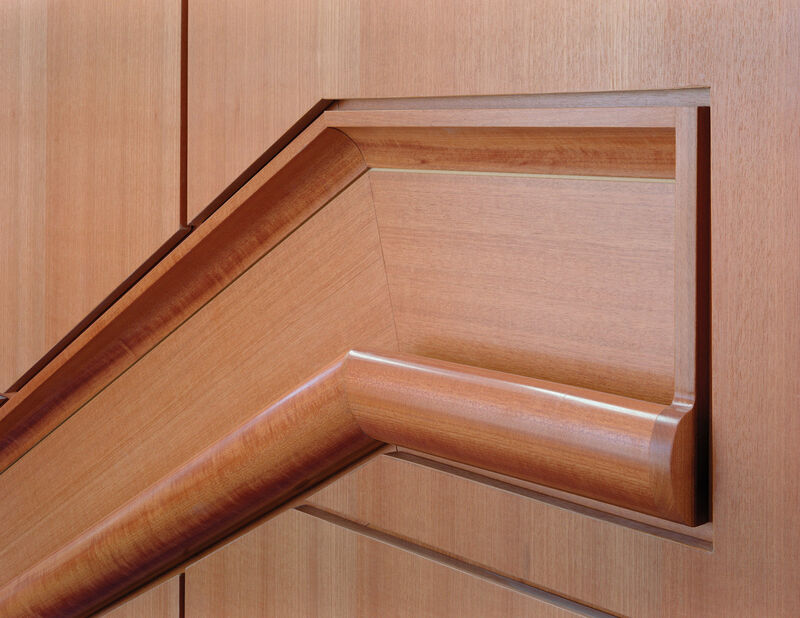 The panels were quarter-slip matched makore cut from one log. The challenge here was to number and sequence all of the veneer panels, ensuring grain matching on all sides. 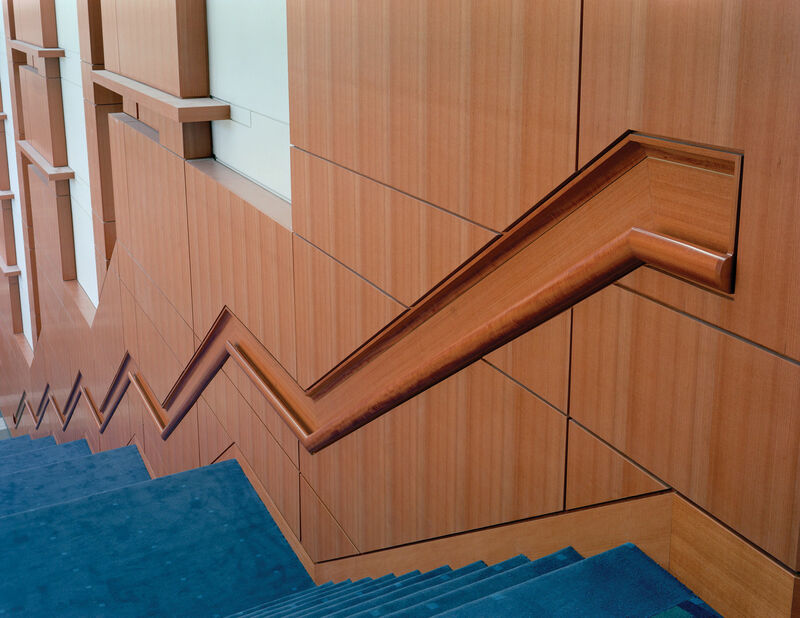 The overall consistency of this massive wall was vital, right down to the stain and sheen of the finish.